If you stop by Huddersfield train station in West Yorkshire, you may be in for a surprise. You’ll find all the normal train station employees—your ticket takers, your conductors, your janitors—but you’ll also find Felix. 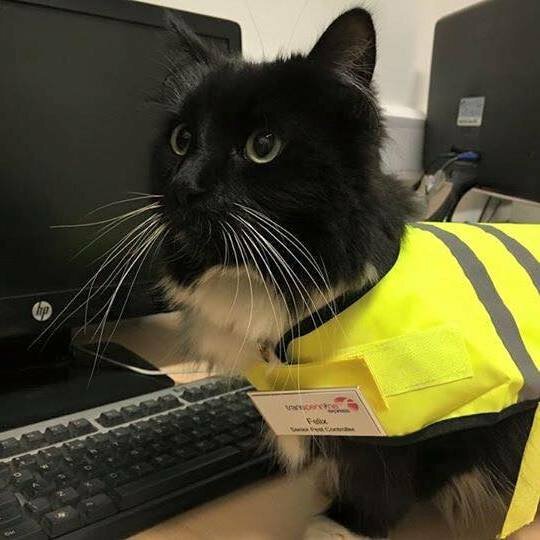 Felix is the Senior Pest Controller at Huddersfield Station, a job she was recently promoted to after five years of service, keeping the train platforms clean of mice and vermin. She is also a cat. #2 - Felix has been working hard since he was a kitten. Felix was just nine weeks old when she was brought in the Huddersfield Station, which apparently was suffering a rather severe pest problem. Sometimes, the old methods of dealing with pests are best, though, and what better way to stop a rat than with a cat? 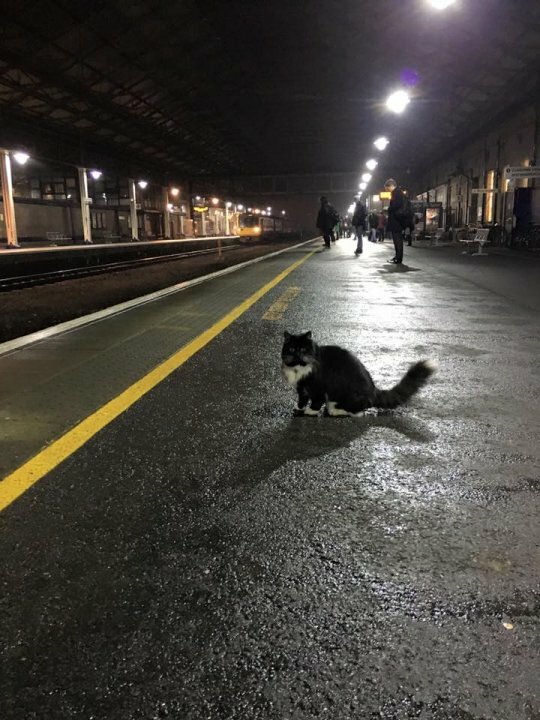 Felix has been on the prowl for the last five years, and has quickly become a staple at the station for commuters and travelers. She can often be spotted prowling around the tracks themselves, enjoying the attention her fame has brought her. #4 - Felix likes to help out inside, too. Other times, Felix can be found in the station proper, greeting people as they come inside and “helping” them buy their tickets. Felix has mostly free-run of the station so she can go where she pleases. #5 - Felix gets around in style. Felix even has her own little door to get in and out of the building, so she can enter and exit the back without waiting to be let in. It has her name and picture right on it, presumably to prevent just any riff-raff cats from walking in. #6 - Felix has earnedher promotion. TransPennine Express, the company which operates the station, has rewarded Felix with her recent “promotion”. 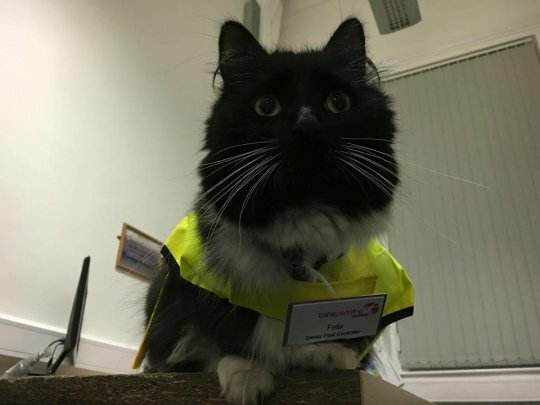 It means she gets her very own high-visibility jacket and name badge, as well as presumably an increase in the number of treats and head-scratches she receives as compensation. 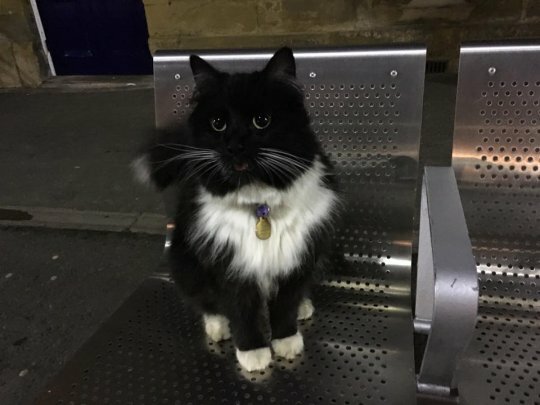 #7 - Felix is likely to be around Huddersfield Station for a long time. By now, Felix is a rockstar around the station. She has her own facebook page with more than 1,000 followers, keeping her fans abreast of developments around the clock and around the globe. She’s garnered international news coverage and comparisons with other famous train station cats, including stationmasters Tama and Nitama from Japan. Suffice it to say, Felix’s popularity will keep her in treats for a long time. #8 - Stop by and say hello sometime! 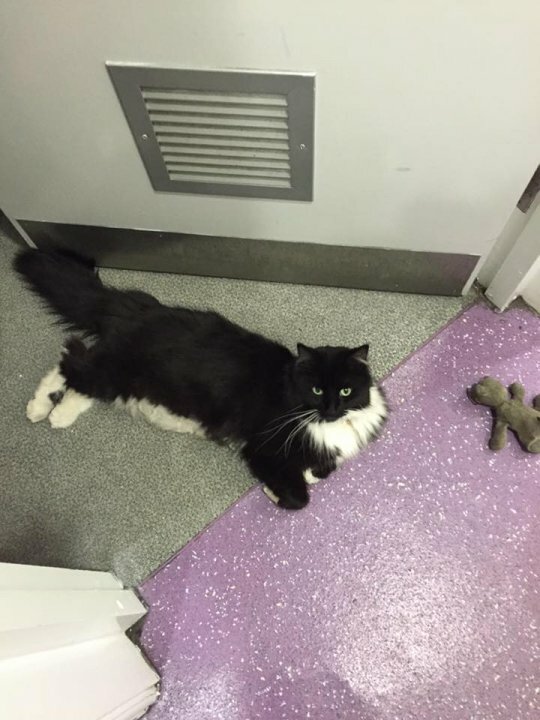 So, next time you’re in Huddersfield, or traveling between Leeds and Manchester, stop in to Huddersfield Station and say hello to Felix! I’m sure she’ll be around, and will be more than happy to give you a moment of her time—in exchange for a little bit of attention.